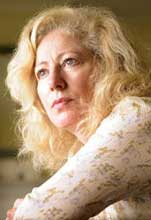 In 2005, Jill Anderson went on trial at Leeds Crown Court for the manslaughter of her husband of eight years. Paul, a 43-year-old linguist, had been suffering for several years from the debilitating effects of ME and Chronic Fatigue Syndrome with complications, and had previously attempted suicide. But one day, while Jill was out of the house, he took enough pills to ensure his own death. When she returned home Paul told Jill he had ‘taken enough this time’ and begged her not to get assistance. She honoured her beloved partner’s wishes and, although consumed by grief, allowed him to slip slowly away. Then the full weight of the law came down upon her. She was interrogated by Harrogate Police, had her passport taken away, and faced up to 15 years in jail. Her story was followed by the nation’s media and, although too unwell to take the stand at her trial, she was acquitted by a unanimous not guilty verdict. This is Jill’s powerfully and elegantly written full story. Stark police interview transcripts sit alongside the love story of Jill and Paul’s early, happy years before they faced the desperation of living with a medical issue with no known cure. This astonishingly honest book leaves the reader asking: ‘What would I have done in her situation?’ It is an unforgettable and deeply moving account of love in extremis. Jill is supported in this by Dignity in Dying and a number of other groups. Unbroken Trust was published by Simon & Schuster in May 2012.